There is not much humor in Half the Way Home. In its 236 pages, not one anecdote directly involving the author elicits laughter. 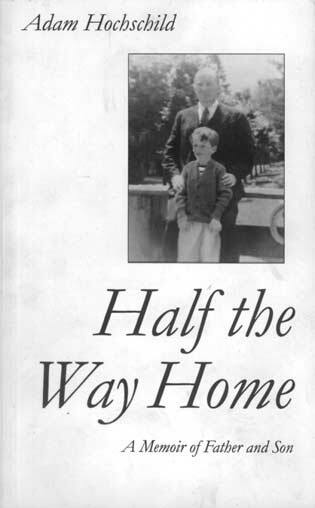 Whereas Lewis Spence describes a loving if fundamentally Victorian relationship between a boy and his grandfather, Half the Way Home is a search for understanding of a father-son relationship where love was not voiced until the last possible moment, where fear, guilt and impenetrable barriers ruled the years. One cannot imagine a young Adam and his father, Harold, laughing over a game of cribbage, wood bugs or no. Half the Way Home is a tremendously powerful book, deeper and darker than A Mountain View. Adam Hochschild, Ramparts magazine writer and editor, Mother Jones magazine co-founder and NPR commentator, was the only child of Harold Hochschild, a reluctant corporate magnate, world traveler, confidant to presidents and governors, and patriarch of the Adirondack family Great Camp, Eagle Nest, near Blue Mountain Lake. He was forever Father, not Dad or anything else approaching familiarity, to Adam. Our first glimpse of him comes in Adam’s recollection of their boxing matches at Eagle Nest: Father would set the appointment and Adam would agree, even though he didn’t want to do it; they would don gloves, go through a set routine of gentle punches and, at Father’s dictate, call a halt. At that point, Father would present his cheek for a peck, “not in celebration of something fun we had done together, but rather to be thanked, for something he had done for me.” Those gloves are symbolic of many things that came between father and son. Harold Hochschild married late and became a parent at an age when most people are sending their children off to college and looking ahead to retirement. His life had been absorbed by the family business, which the family called “The Company” but the New York Stock Exchange called at various times The American Metal Company, American Metal Climax and AMAX—a mining conglomerate that had “interests” from Colorado to Africa. Allowed by Father to see first-hand the grasp of The Company’s tentacles, Adam came to realize that copper plus sweating, underpaid black African workers equaled Eagle Nest, where he could revel in banquets, boats and books in endless supply. It was a troubling juxtaposition, and his rejecting of Father’s plan that he go into The Company, following education at The Right Schools, was but one more source of friction between them. Another was Judaism, which Father repudiated in his compulsion to have anti-Semites like John Dunlap accept him. But try as he might, the mere sound of his name meant that Harold Hochschild, tolerant and open-minded, would never have been allowed on the northern end of Upper Saranac Lake. As in Lewis Spence’s memoir, other people weave in and out of the conflicted story line. Adam’s mother was the attentive peacemaker, with whom he had a relationship that was the polar opposite of that with his father—and yet we never learn what he called her. Among a fluid and sometimes bizarre cast of “extras” the most memorable is the dashing, philandering Russian aviator Boris Sergievsky, who literally swooped in to marry Adam’s Aunt Gertrude; the antithesis of Father, he was to Adam what Oscar was to Lewis Spence, although considerably more refined. Local people, the folks the Hochschilds employed, come and go; although pleased that they are invited to holiday celebrations at Eagle Nest, Adam is perplexed that they get better treatment from Father than he does. And there is Rex, Adam’s golden Lab and, tellingly, favorite companion, who Father won’t even let into the house for five years, but ends up favoring with warm affection—whereas in a certain sense he never did let his only child into the house. All of which could be read as the whining of a spoiled son of privilege. But this is something else entirely. There is an aching sadness throughout, a wish that understandings could have been achieved, heartfelt words exchanged, an overlay of regret that things weren’t better between a sensitive, confused boy and a man whose tough veneer masked a core of insecurity. This action plays out over 40 years and in many locales—foreign capitals, cruise ships, hotels where the prospect of dinner alone with Father brings on waves of nausea—and Eagle Nest, a former country club on the Eckford Chain of lakes that Adam’s grandfather and some associates had rescued from bankruptcy and subdivision. The family spent only summers and some holidays there while Adam was growing up, but, he writes, “it was then that I lived.” If Father was in residence, Adam would escape to the cool of the icehouse, explore the woods with Rex, or talk to the staff, whom he admired because they could do things with their hands. Often the joy of these otherwise carefree explorations was clouded by his dread of a scheduled afternoon appointment in Father’s office, no doubt to be politely but firmly reprimanded for some mysterious social gaffe he had committed. Most often of all, my crime would be that of taking too much space, of talking too much: at the table, in a carload of family and guests en route to Eagle Nest, anywhere he and I were together with other people. At this point some valve opened inside me, and I felt a pervasive dread traveling through my whole body, as if I had taken a powerful, swift-acting drug. Sometimes I tried desperately to win back his approval by being very affectionate, but it never worked. Among Adam’s favorite hideaways at Eagle Nest was his bedroom, where he could escape to read, play or daydream. From here, between bedtime and sleep during long summer dusks, he could hear the music of the piano echoing across the lake, or the sounds of some of the younger guests sneaking a secret skinny-dip. This was his universe, and he felt himself within it yet not part of it, unable to attain it as the sounds fuzzed and he drifted into sleep. As Adam grew into adulthood and Father into decline, their attitudes toward each other softened. Father gradually accepted his son’s career choice and even took pride in his accomplishments as a crusading, anti-Establishment journalist. More relaxed and mellowed, Harold displayed great affection and playfulness with his grandchildren. Adam, in turn, speaks with pride of Father’s writing an acclaimed book on Adirondack history, founding the Adirondack Museum, and playing a key role in the creation of the Adirondack Park Agency—although of the latter he implies that the victory for Father was as much in getting his way, in having his iron will prevail over the speaker of the state Assembly, as in protecting the Adirondacks from uncontrolled development. Finally, Harold is on his deathbed in a New York City hospital. The last hours pass, the last minutes. At the last breath, Adam summons the will to tell Father what he has not been able to for a lifetime. Perhaps now he is ready to begin the other half of the way home. Much that is inconsequential sets these books apart. Hochschild writes more about a person, Spence more about a place. Spence’s Adirondack idyll is at the headwaters of the Saranac, Hochschild’s at the head of the Raquette; each is fractured for a different reason. Hochschild’s significant elder is the real goods, Spence’s a pretender. And so on. 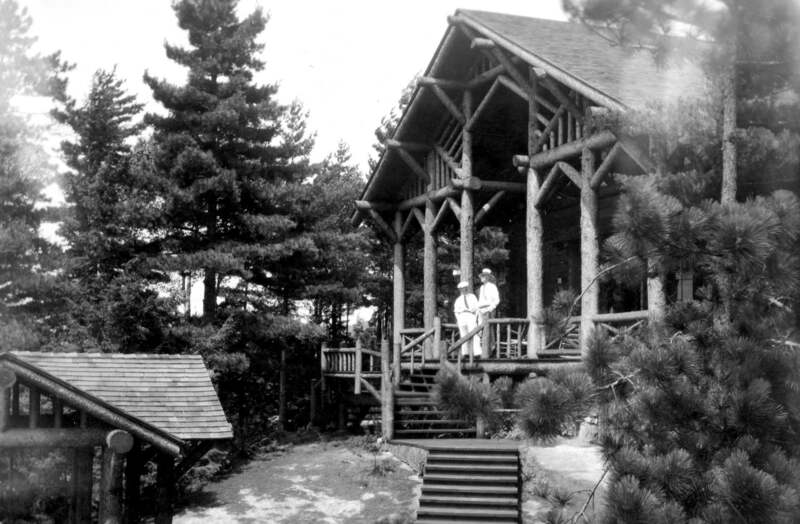 But the similarities are greater, and not merely the superficial ones (summers at a Great Camp, formal address). Each writer, master storyteller that he is, tackles honestly the questions we all must ask: Who, and what, made us who we are? Where is home, really? And how do we get there?